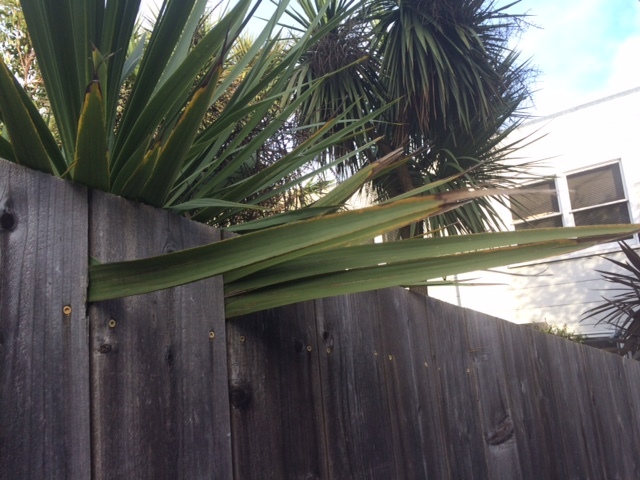 This fenced-in plant “looks like it wants to escape its enclosure,” writes Megan Mock, who wrote in response to our post on a banana tree invading a bathroom. So this is what can happen when orchids aren’t confined to a pot. At the home where I recently stayed in Kaua‘i, Hawai‘i, the palm tree in the front yard was completely wrapped in the roots of these orchid plants. Happy spring from your urban plant researchers.